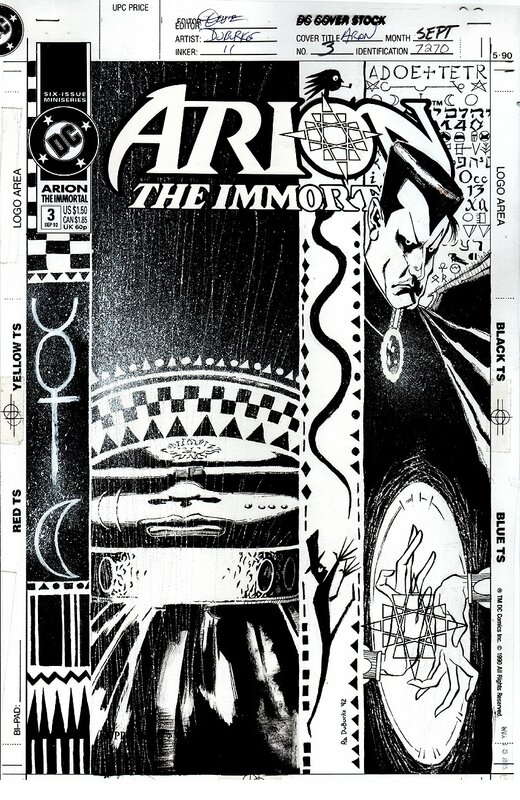 Click Here To See Arion the Immortal #3 Comic book! Check out this very nice DC Vertigo type cover and storyline that came out well BEFORE Vertigo was thought up! This great looking cover was penciled and inked by Randy DuBurke, from the story titled: "Mother Always Liked You Best!" 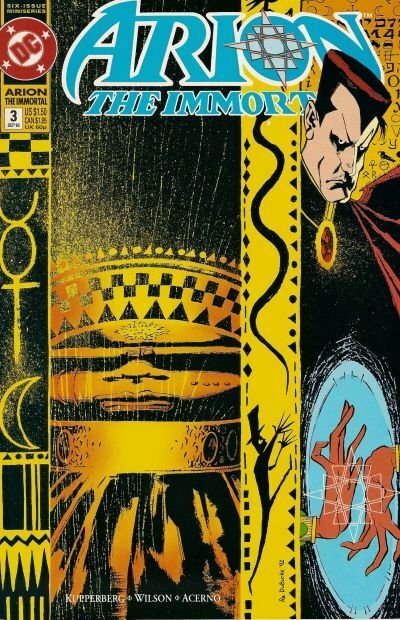 This nice cover has a strong SAM KIETH feel to it in how it was drawn, featuring a great supernatural image of the all powerful.... Arion the immortal! Just a great cover! Compare this nice cover art to the published comic book in the red link above! ALL art on our website (including this one) are able to be purchased with VERY fair time payments, and trades are always considered towards "ANY" art on our website! Just send us an email to mikeburkey@aol.com and we can try to work something out.